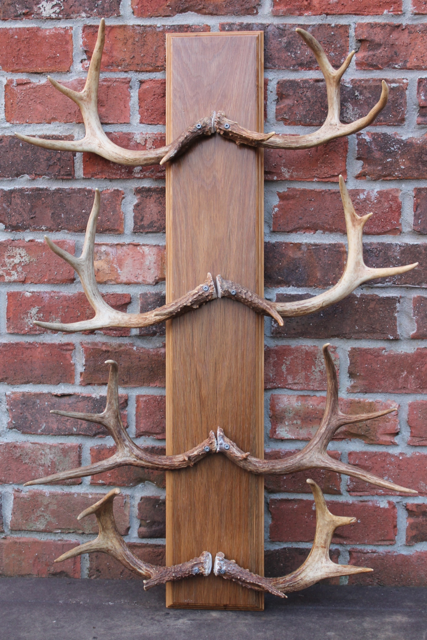 Here is our take on a simple antler mount. Having deer hunted since I was a teenager, I have been fortunate to accumulate a number of buck racks…not quite big enough for a full mount, but trophies all the same! Every single rack has a story, and it’s amazing how years later when pulling them out of the barn I can still recall each hunt. 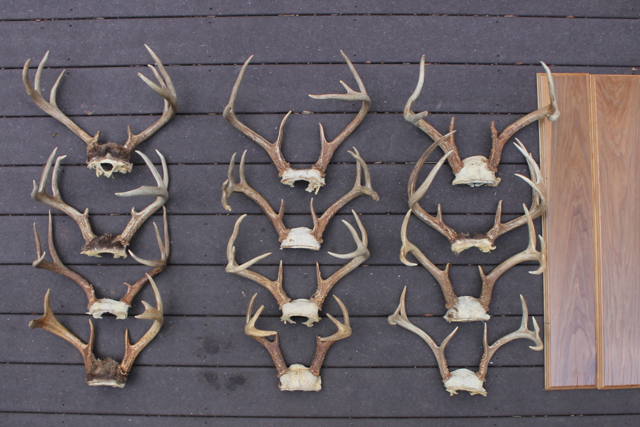 Fortunately, I have a wife that likes antlers and has been after me to put more on the wall. Dust off a few of your trophies and show them off! -Cut antlers from skull, just below the burr. I found that using a saws-all with a metal blade works best. 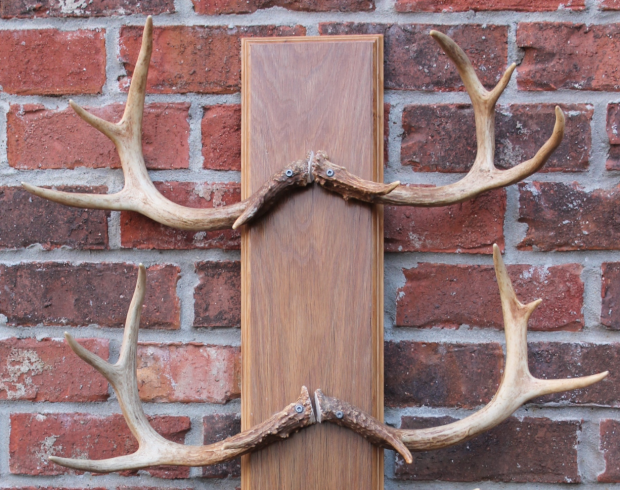 -Space antlers on your plaque (we used a 7″x36″). 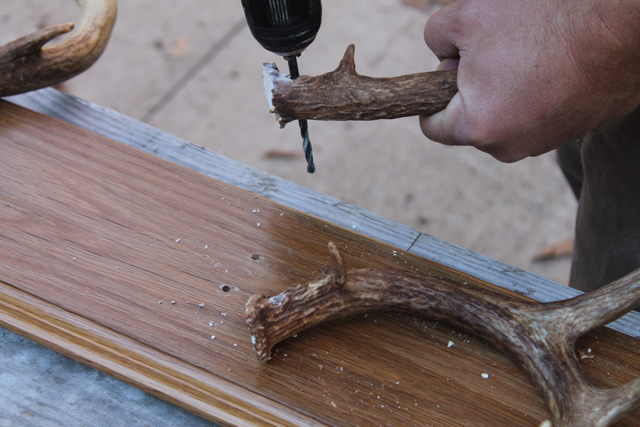 -Cut a “flat” spot in the backside of the burr to help the antler lay flat on the plaque. 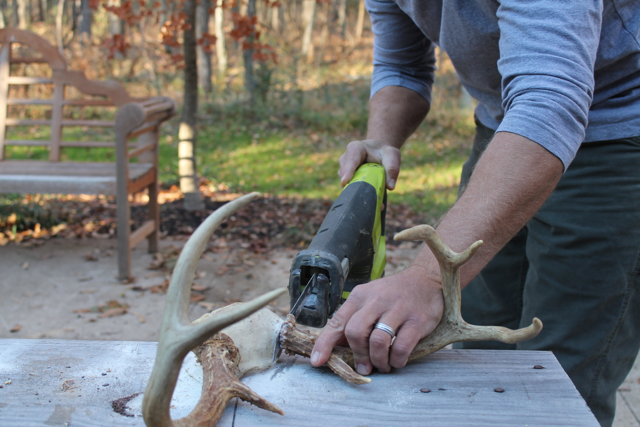 -Drill pilot holes through the antlers and the plaque. 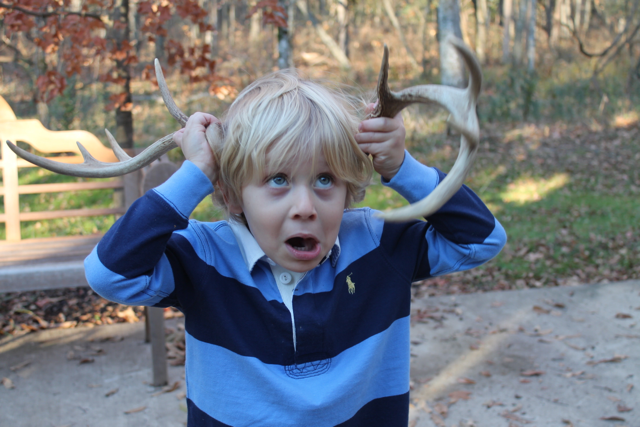 -Screw the antler to the plaque. I used a composite deck screw, as the combination of fine and course thread works well for both bone and oak. 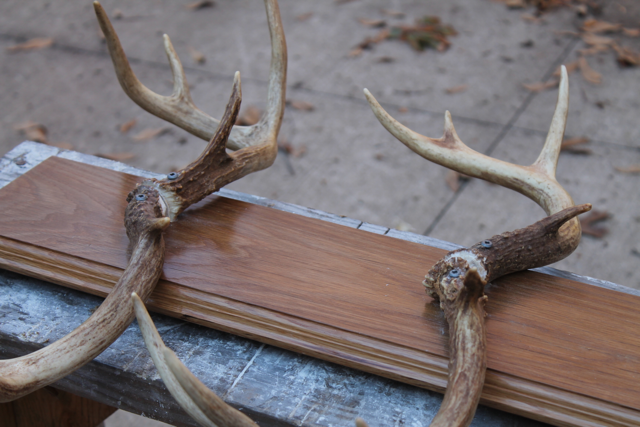 When working with antlers, keep in mind that each one is different and each set will not be a perfect match. Tape measures, not needed. Just use your eye for spacing and layout. You have to find the best spot for the screw in each antler. A friend, Matt Teply made the plaques for me for out of reclaimed oak from a “turn of the century” dairy barn here in middle Tennessee. Several years ago he and I tore down a barn, which was well on its way to falling in, and he managed to haul away a mountain of prized oak. Once planed, sanded and sealed, it looks absolutely beautiful. If you have never worked with aged oak, you must know it gets harder and harder the older it gets. Drilling pilot holes for your screws is a must – and you can forget trying to drive a nail into it! 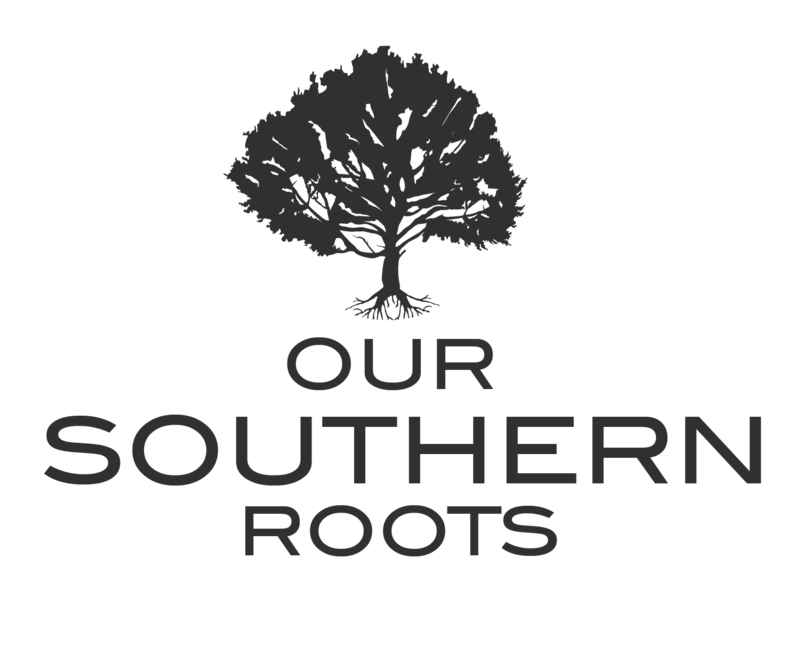 Found this website via TNDEER. Have read all your short articles and took some notes on the recipes. Very nice…loooks like you guys are living the good life!